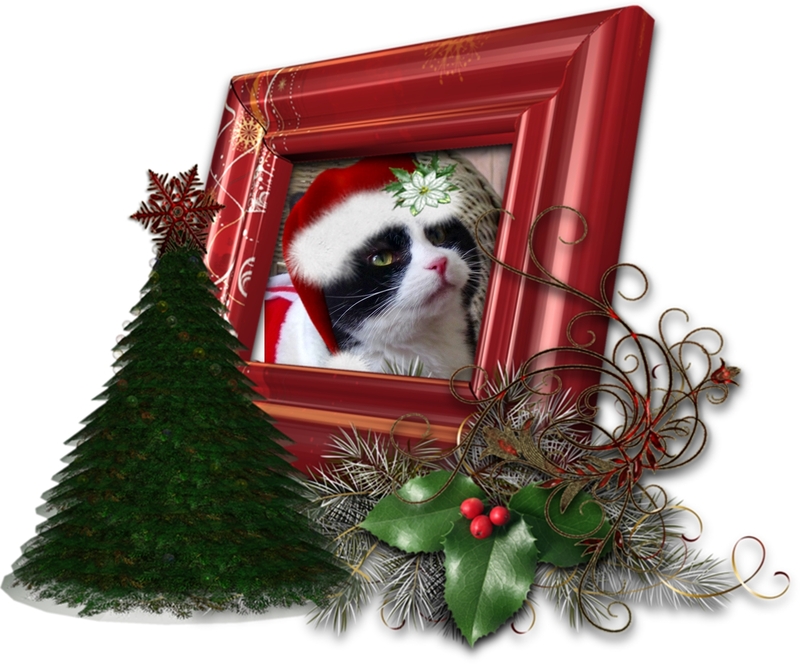 Wendy's 3-D Cats: DOMINO: A CHRISTMAS THREE-FUR! 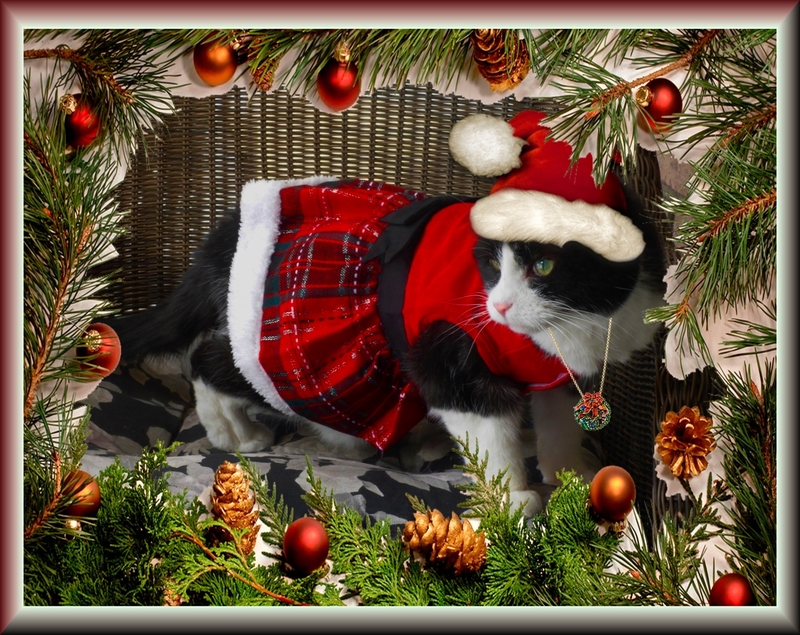 Domino is the picture of Christmas purrfection! ... or a full body capture, she's the epitome of the holiday season! 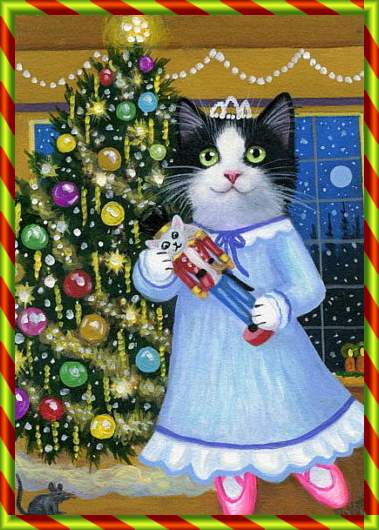 Even this painted image of Domino simply oozes with Christmas spirit. Pee Ess: Go see what Domino's sister Dani is up to today. She's really pushing it!